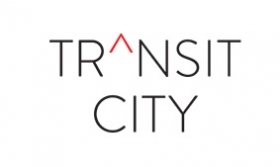 Transit City Condos is a new condo development by CentreCourt Developments currently in preconstruction at York Regional Road 7, Vaughan. The development is scheduled for completion in 2020. 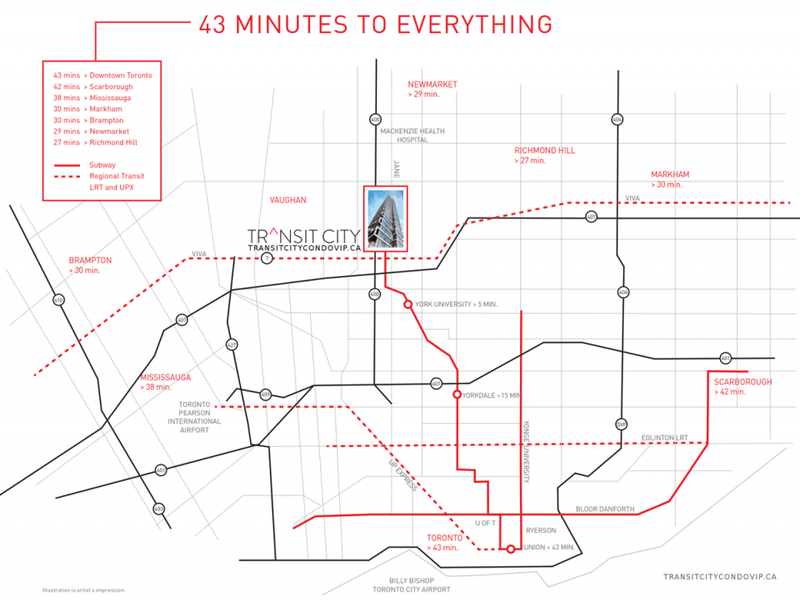 Transit City Condos has a total of 553 units. Welcome to a transit oriented, forward thinking and pioneering development that will be part of major mega community called "SmartCentres Place" an ambitious plan that will in the middle and heart of everything. 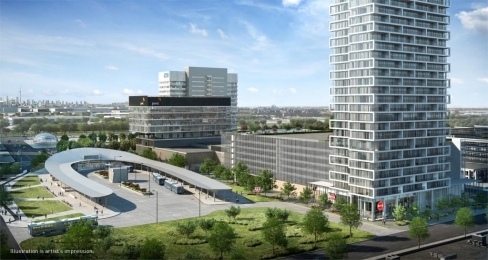 The GTA's newest address for architecture and design in Vaughan's New Downtown. 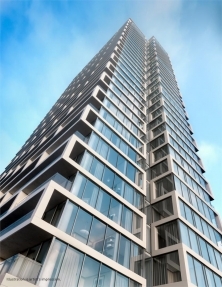 The 55 floors shimmering beacon will be one of the tallest sought after residential high-rises in the area. 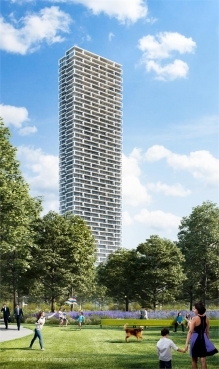 It’s the newest addition to the largest and most significant evolvement project in Vaughan’s history that will take form of a visionary mixed-use expansion incorporating a 55-storey tower offering 1 bedrooms, 1 bedrooms plus den, 2 bedrooms and 2 bedrooms plus den layouts and sizes ranging from 500 square feet to over 1000 square feet. This is the first phase in SmartREIT's mega mixed commercial-residential project 100 acre site for the SmartCentres Place Master-planned Community bound by Hwy 400 on the west, Jane st to the east, Portage Pkwy to the north and Hwy 7 to the south currently in pre-construction by a partnership between SmartREIT, Penguin Investments Inc. and CentreCourt Developments a neighbourhood that features pedestrian-friendly pathways, tree-lined streets, community park and public art. Anchored by an elegant light bluish podium, punched with large double height windows, the fifty five storey structure will read as a singular yet connected volume that will house a whopping 550 luxury suites with retail/commercial on the ground floor.